The re-test of the Class 12 paper that leaked this week will be held across the country on April 25, the government has said. The re-exam of Class 12 paper will be held on April 25, the government has said. 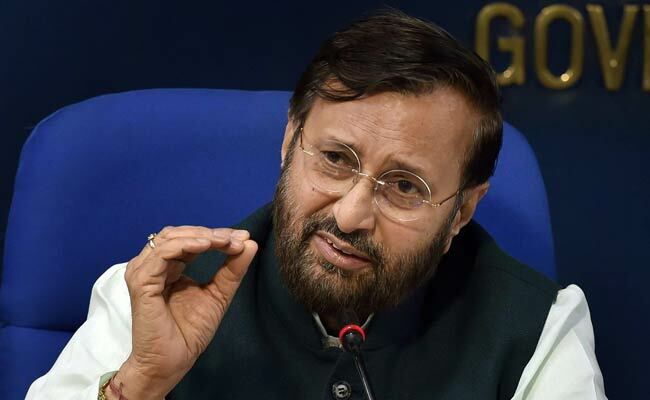 New Delhi: Only students based in Delhi and Haryana will have to appear for re-exam of Class 10 paper if the police investigation points to a "large-scale leak", Union Human Resource Development (HRD) Minister Prakash Javadekar said on Friday, stressing that out of the 16 lakh students, more than 14 lakh will not have to appear for the Mathematics re-exam. "I am amazed to see headlines in some news channels about confusion over retest. Out of 16 lakh students, more than 14 lakh students of Class X will not have to give retest in Maths.," Mr Javadekar tweeted. The minister said that students in other states will not have to appear in the re-exam. However, the re-test of the Class 12 paper that leaked this week will be held across the country on April 25, the government has said. The papers of class XII Economics held on March 26, and class X Maths, held on March 28, were leaked on social media hours before the examination. According to the police, the CBSE papers were shared on over 10 WhatsApp groups, comprising some 50-60 members. These groups were active in outer Delhi and border areas of Delhi and Haryana. "Four numbers that the CBSE had mentioned in their complaint were used to circulate the Class 12 Economics paper," a police officer said.